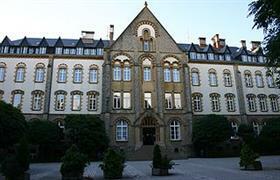 A small country in the heart of Europe, Luxembourg, is poorly known to large number of potential buyers. But this duchy has the highest quality of life and minimal taxes. Properties in Luxembourg are very interesting and diverse. Real estate in the capital of Luxembourg, the eponymous town, is beneficial as rented – here is the heart of a business and of course, this is the biggest tourist destination in the country. Rents in Luxembourg are high and can generate a decent income. Lodging in Luxembourg is not the most affordable. But the stability of the country's real estate market has resisted even the influence of the global crisis - prices are rising slowly. Acquisition of housing in Luxembourg is beneficial for those who appreciate the high quality of life and safety in every sense of the word. It's a safe investment at all times. The confidence in the future for you and your children will be provided. A certain plus of real estate in the Duchy is its diversity - starting from modern developments and ending with old buildings in good condition. You can buy an interesting flat on a narrow old street in the historical area of the major cities, or an old mansion in the suburbs. Other cities that should be mentioned are Wiltz, Mersch and Vmanden – quiet provincial cities with a calm, measured life. And if you want to live in a city that has preserved the spirit of the Middle Ages, so the realty in Clervaux is your option – this is northern region of the country with Gothic castles from the XII century, which attract many tourists. It is a guarantee of good rental earnings. There are no restrictions for foreign investors in the acquisition of real estate in the country. They are allowed to buy residential property, commercial premises and land. The transaction should necessarily be certified by a notary and the process is controlled by the state. Thanks to this, you can be sure of the legal part in the formation of the deal.